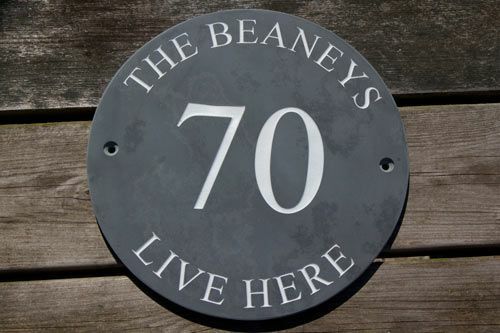 These round signs are slightly more expensive then the straight edged cut signs due to the extra cutting involved but make for a very grand sign.The signs work particularly well when the wording, images or numbers are in the middle of the sign or even curved around the top or bottom. 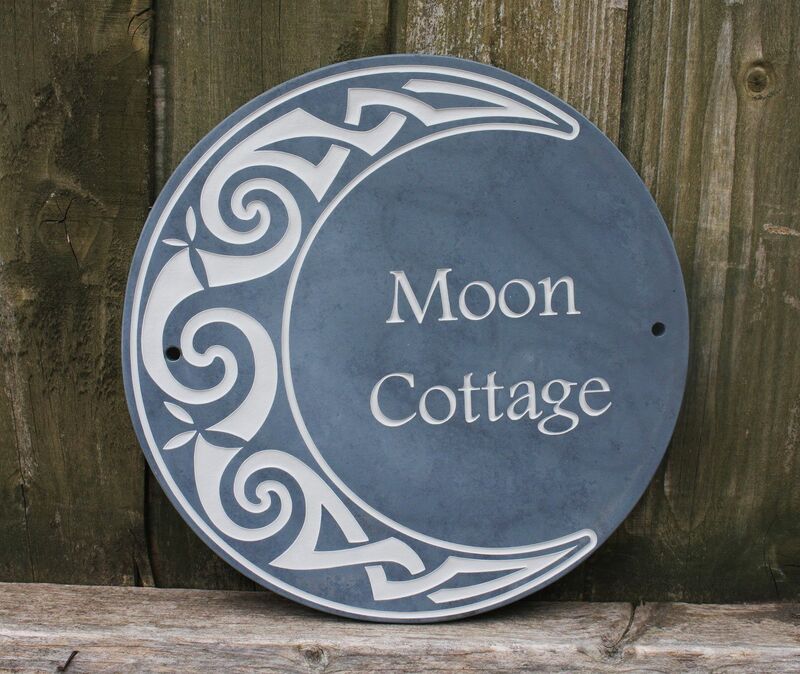 These signs are well balanced and a good alternative to the straight cut signs, again made with top quality slate. Choose from a wide range of fonts with lots of letter colour choices . Images can also be included.